On April 22, 2010, during the celebration of the 20th anniversary of the Hubble Space Telecope, NASA released the image above, describing it as "a pillar of gas and dust three light-years tall being eaten away by the brilliant light from nearby bright stars." 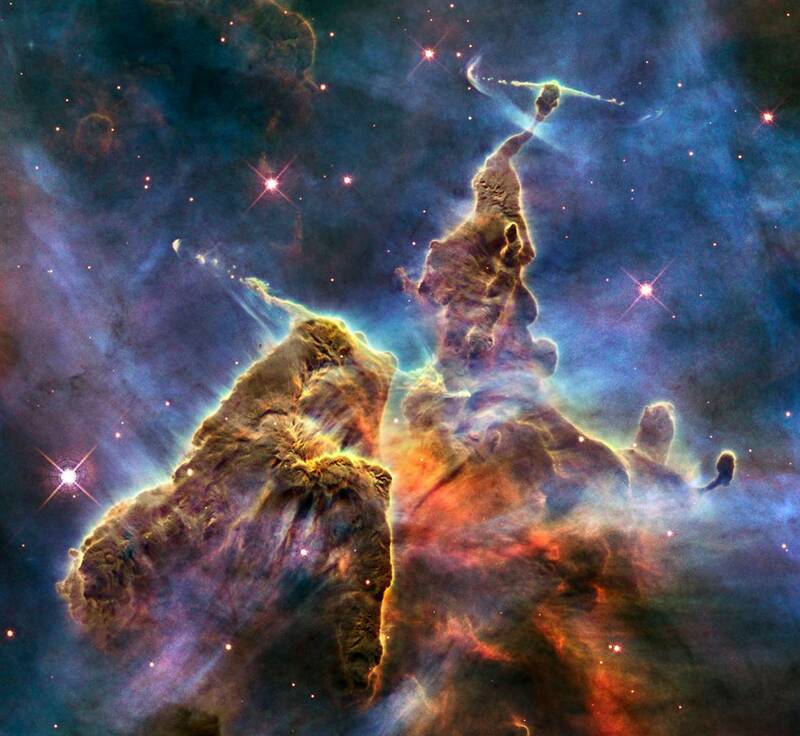 This cosmic pinnacle lies within the Carina Nebula, located 7,500 light-years away. Not far at all, considering that the Milky Way Galaxy measures 100,000 light years in diameter. Alarm Clock Anomaly When plug-and-play won't play. Birthday Bet Winning a wager: It helps to know something that the loser does not know. Chase Me, Catch Me Taking painful realities in stride. Counter-Intuitive Cork A puzzle from childhood that stumps adults. Cross-Number Puzzle First of its kind, probably for a good reason. Drawbridge Dilemmas Exercises in consensus and ethics, assumptions and suppositions. Droodle Generation Simple sketches -- simple, once they are explained. Erg and Ugh All play and no work defining units and energies. Fuzzy Dice Dating one decorative talisman -- and yourself. Genesis Won One An instrument of modesty in art laid bare. Literary Larvae Devouring pages while counting them. Magnanimous Month Celebrating paydays and weekends with numbers. 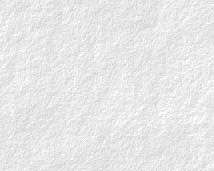 Missing Letters Finding features in common without seeing them. Mythical Muses Since they are not real, there is no limit on their numbers. Train Speed A puzzle from childhood that stumps adults. Alphabet Group Never have so many attributes belonged to so few. Balls in Boxes Sometimes it helps to draw a map of alternatives. Battle of the Buns It may be OK not to make the pegs fit the holes. Benford's Law Something for taxpayers to know to avoid audits. Bottle Royal Elementary exercise for a long, rainy weekend..
Bucketing Bandwidth Metaphor for managing a misleading metaphor. Challengee vs Challenger Winning wager tempting to make/take -- or not. Circling: Ground and Sky Faster in one way but slower in another. Conservation of Bits Code compression will never go out of style. Count the Squares Challenge for children in French and English. Dérailleur de Rigueur Modern bicycle designs may have gone too far. Fibonacci Fantasy Where parallel lines meet, so too do the rational and the irrational. Golden Section Carried away by specious correlations. Gold on the Wing A juvenile puzzle that stumps adolescents. Hand Over Hand A real paradox -- well, maybe not. Inches per What? Share of mind owned by outdated an technology. Jump in a Lake You can drown in a lake but only if the lake is deep enough. King for a Day An empire full of next-number puzzles. Least Significant Digits Listening for a dog not barking. Materix The statistics of romantic relationships. Matches These matches are safe for children to play with. Measuring the Moon Gauging the size of one particular far-away object. MY Missile Relic of a Cold War stratagem with practical applications. Next Number Making the most of what is given by making assumptions. Odd Ball Using a balance scale without calibrated weights. Paradox Lost Where parallel lines meet, so too do the infinite and the infinitesimal. Polarity Happens An adolescent puzzle that stumps adults. Reversible Ages Birthday greeting discloses numerical limits. Romance in Numbers Looking back with nostalgia to pre-positional notation. Secret Message High school puzzle that can stump an undergraduate. Space-Time Singularity Bizarre combination of location an time. Twelve-Tone Melodies Making music with mathematical minimalism. Word Problems Turning a homework dread on its head. Band Around the Earth Junior college puzzle that stumps university graduates. Carbon Footprint Getting carried away with electrical options. Circloid Discovery of a valid hypothesis and another that is not valid. Claim Game A bimodal distribution offers a complaint-free service. Density Lock A counter-intuitive proposal to prevent traffic jams. Differationale Which solution is right and which solution is wrong. Double Integrity Numerical mischief in defining the undefined. Easy as Pi Approximating irrational numbers with rational numbers. Factorial Factoids Looking for a missing most significant digit. Historic Car Crash Time of maximum crush-in volume seems to be a constant. Linear Linkage Headlined uniqueness in the past found not to be unique. Fermat's Really Last Theorem Power of foozling for making mathematical history. Look-at-Me Car Form ever follows function, and function takes energy. Magique Nombre All roads lead to the same number. But why? Missing Numbers Finding unboundable quantities of solutions. Nail-Biter Ballots Most practical technology for voting is two centuries old. Natural Hypoteneese What Pythagoras of Samos might do with a spreadsheet. Next Superbowl Selecting your winning square in the office football pool. Paranormal Numbers Algebra teacher with psychic powers -- or so it seems. Phantom Circuit Exploiting a variable that does not vary with dimension. Price of a Point Rationalizing football's idiosyncratic scorring system. Prime Numbers are Odd Attributes of the purest of integers. Psychic Math Unraveling the secrets of sorcery. Radicand Solution to one puzzle calls for new puzzles. Randomly Wrong Challenges for human-derived randomness. Rational Roots Where parallel lines meet, so too do the infinite and the infinitesimal. Reaman Numeral Reconstructing a singular mid-Twentieth Century discovery. Reaman Numerals Plural Dancing with the do-si-do digits. Recursive Sentence Real gambling pay-off for real gamblers. Repeating Decimal Decimals Producing proper rational fractions. Roulette's Frets Mathematical induction for the derivation of totorials. Short Cut? Absence of information makes the solution more interesting. Steamboat Hill Applying conservation retrospectively to one venerable technology. Strange Series Mountains and foothills in one numerical algorithm. Tin-Can Mystery Environmental reality: Holes pick the pegs not vice versa. Tip of the Ice Cube Melting metaphor: floating on oceans vs resting on land. To Brake or Not to Brake Analyzing the power in coasting. Unsprung Secrets Proposed explanation for highway damage (sequel to Five Axles). What the Wild Goose Knows Nature teaches us embarrassing things about us. World's Fastest Dragster Being first means getting there first not speed. World's Largest Machines Arguably the world's most obvious question. Yaw of Averages Exploring a paradox in central tendencies. Confusion-Free Codes Not to be confused with comma free codes. Express vs Local Getting more there trumps getting there faster. Fast Track Analyzing the speed penalty of not going straight. Pantograph Design Making improvements in an aerodynamic eye-sore. Single Tracking Operations vs capital costs in railroad emergencies. Station Stop Understanding the true through-put limits in railway transit. Streetcar Mystery Surprising realities in converging and diverging. Trail Braking Finding the optimum speed for maximizing through-put. Trip Time Figuring out the impact of having to serve passengers. World's Fastest Train Tractive effort taxed by aerodynamic limits. Air-Race What is the best cruise altitude for winning in the skies? Canard Advantage Why put the horizontal stabilizer in the nose? Cleared to Land One too many rules. Flyer Fatality Wright Flyer tragedy: first in history but not the last. Flying Off the Grid Electrical propulsion without stationary source. Gathering Range What works has limits, what does not work does not. Green Flight When conservation trumps speed. Here Comes the Sun Racing against the sun. Landfall Navigating Overcoming one type of navigation error. Live Reckoning Steering by stars and by radio. Pilot's Nightmare No time for calculation or controversy. Point of No Return Decision delayed is decision denied. Position and Hold Controversial maneuver -- before takeoff. Shoot the Moon In the daytime, celestial navigators have two celestial bodies, not one. Simplexity Aloft Analysis of multiple, independent failures. Sloping in the Dark Counter-intuitive, 'Black Hole' approach. The Clock Won't Wait As time goes by, so too does your position. V-Tail Seeking information that is "not for public disclosure." Wages of Flight Need to fly meets the need for speed. Which way, Amelia? The greatest mystery in aviation history. Wind Circle On the average wind is not friendly to flight. Wingsuit Aerodynamics How to maximize gliding distance. World's Fastest Airliner The impact on speed of environmental impact. Zero Mystery In WWII the Corsair was able to turn right faster than the Zero. Astrogating Asteroids Discovery for avoiding a collision course with Planet Earth. Aurora Borealis An amazing photograph no matter how you look at it. Barycenterfold Object lesson provides perspective on solar system dimensions. Corner-Cube Good enough may not always be better than best. Ellipse Illusion Ellipse in a cylinder is intuitive, but in a cone, not so much. Extinction Avoidance Preventing what will eventually happen. How Many Planets? Historically named versus unknown or unnamed. Martian Microbe Exciting discrepancy in genetic codes. Measuring the Moon A penny for your perspective. Mystery Orbit Space invention in search of a necessity. Orbital Deflection Invention for the deflection of a threatening asteroid. Prepositions in Space Which way is 'up' and how long until 'next'? To Billow or Not to Billow Cloudy evidence for Dark Matter in space. Trampoline Deorbiting System Satellite with sacrificial derelict capturing mechanism. Trappist Orbits Seven exo-planets in harmonious stability. What Goes Around Figuring out arrival times at an orbital intersection. Collective Nouns Matching the names for groups of things with the things. Figures of Speech Names for expressions matched with what the expressions express. Groaner of the Third Kind Classification of jokes, some funny but not all. Largest Prime Number Like everything else, numbers need names. Omancy Schmancy Twenty methods for figuring out the future. Palindromes for All Times Historical and humorous reversibilities. Paradigm Shift Wresting one's presumptions from one's grasp. Put-Down Noun Proper terminology for expressing scorn, polite or otherwise. Riddle from Hell Finding the impact of nothing on everything. Riddle?...or Hoax! On crooked postulations by juveniles and jokesters. Surgical Precision Ungiven toast on a napkin. Syllables of Recorded Time Conservation by acronym and abbrev., supposedly. Techword Puzzle First of its kind, probably for a good reason. Wholly Toledo Challenging creative children on long car-trips. DISCLAIMER: All images found on this site are believed to be in the public domain. If you believe that any image published here belongs to your site and you do not want it to be displayed here, or if you want me to publish a link to your site, then please contact me, and I will take the appropriate action promptly.